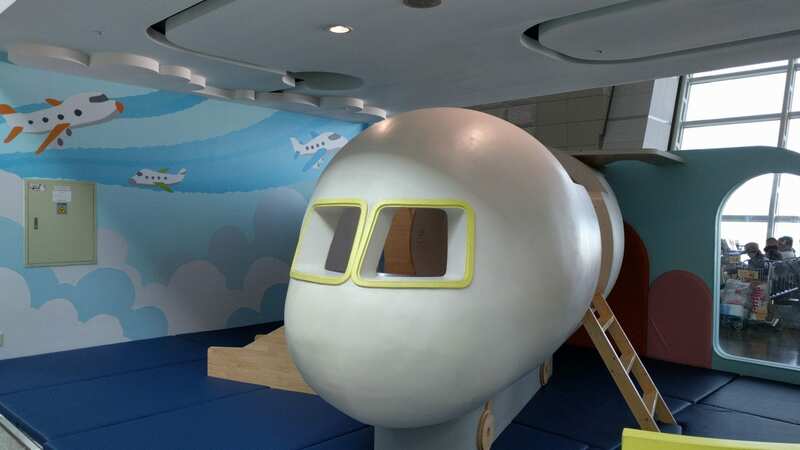 What to Expect When Taking Asiana Flights with Kids - FiliVino! So you’ve finally decided to take that trip across the Pacific to Asia? But there’s all the choices for flights with airlines that you’ve never flown with before! Asiana is one of the bigger companies flying to Korea and other places across the Pacific. On our most recent trip to South Korea we used Asiana Airlines. And we were traveling with a three year old. So how did flying Asiana with kids go? Flying out of SFO has it’s own unique trials and tribulations, but getting to and onto the plane are the same as most other flights. But once you’re on the flight there are some Asiana-specific experiences that you’re going to come across. The interior cabin was extremely clean, although it was in very drab colors. I think my parents had a scratchy couch in these colors when I was growing up in the 80’s. And the seats were rather uncomfortable. Come prepared. Once we were in the air, one of the stewardesses brought Flying Lad a nice little puzzle, although it was completely in Korean. Well, it’s a long flight, so it’s a perfect time to learn to read Hangul! They are also going to provide everyone with their own slippers which is great! Unless you have giant American sasquatch feet. Still it’s a neat, very asian perk. That being said, everyone is going to take their shoes off at the same time to put on their slippers… in a crowded airplane.. and… well you get the idea. Meal-wise the options were bibimbap, steak, sandwiches, chana masala, chicken lasagna, and a SPICY fish. Of course they will come with the typical ban chan you would expect from a Korean meal (rice, kimchi, a tube of gochujang, etc). Having sampled a few of them, I can say they;re… ok. It’s still an airplane. When you go to the bathroom you’ll see you’ve been provided toothbrushes and toothpaste! An airplane is no place to ignore oral hygiene! The service was OK. Nothing over-the-top, but they were there when you needed them, and did what they were supposed to do. On the way back we did have a major problem with our reservation, but they were on top of it and made everything better! Overall it was a pleasant experience albeit a bit uncomfortable and a bit of an eyesore. But the interesting foods and perks were very nice.